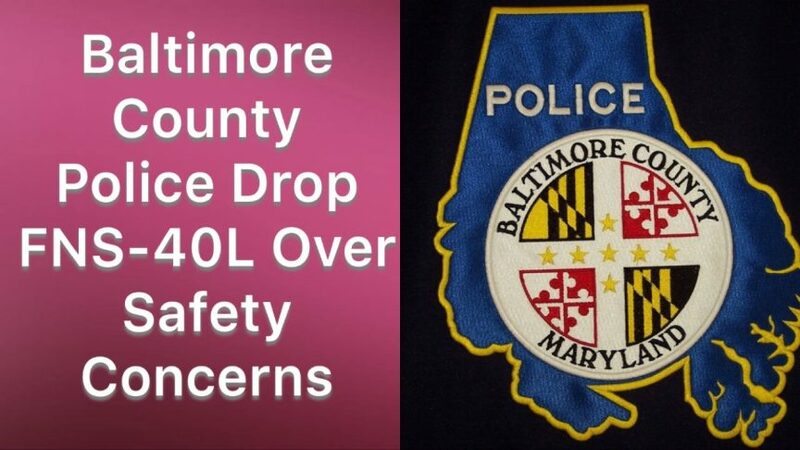 News was circulating earlier this week that the Baltimore County Police dropped the FNS-40L in-lieu of a 9mm Glock 17 Gen 5. Considering the PD just switched to the FNS-40L in 2013, this strikes me as odd. Looking deeper into the issue, it appears that there are grumblings that FNS is having ND/AD issues. At least it seems the PD is blaming the gun for these AD’s. Looking at the press release by FNH concerning the issue, they seem to be not happy with that conclusion. But interestingly….a PD out of Arizona is also claiming the FNS-40 has a ND/AD problem. Thus backing up the position of the Baltimore PD. If true, that is devastating for the model. But that might be the reason FN decided to drop the FNS brand; and release all later updates as a new model, known as the 509. In this video, I demo some of the actual issues I experienced with the early FNS guns. I subsequently determined that FN did take care of the locking problem in later iterations of the FNS line. I suspect that change has carried over to the 509. They defently did change the mag release on the 509 to address the sympathetic drop issue. As for the “out of battery striker drop”, I can’t replicate it. So if you have a FNS and know how to produce this failure, I would be most interested in you informing me. Is it peculiar to the FNS-40L? Maybe it doesn’t exist on the external safety models? But even with all that being said, I am a fan of the FNS guns. I might have to give the 509 a try.